Romanov is a spectacular individual with huge floating paces and an impeccable pedigree. His sire, Royal Hit, was awarded 1-C Premium in his licensing and achieved perfect scores of 10 for confirmation and 10 for character. 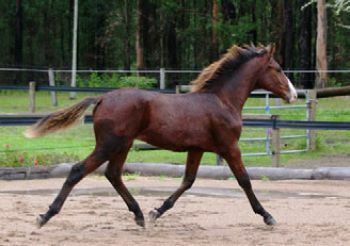 Royal Hit is a son of Loretta, dam of world dressage champion, Sandro Hit and reserve world dressage champion, Diamond Hit. Romanov has inherited his father�s lengthy, graceful walk, has a magnificent trot with superb knee and hock action, and an uphill canter. Romanov�s dam, Bangalow Creek Willow, is also beautifully bred, being by Wolkentanz out of a Duntroon mare. Wolkentanz, by Weltmeyer, was a highly influential champion stallion in Germany and is described as having flowing, expressive, rhythmical movements along with correct confirmation and a wonderful mind. 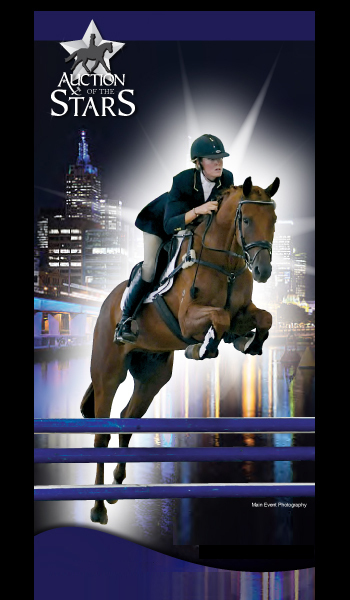 Duntroon (Kristy Oatley-Nist) is another exceptional stallion by Donnerhall. He was vice-champion stallion of the Oldenburg approvals in 1993 and won the stallion performance test in Adelheidsdorf in 1994. He later competed at Grand Prix. Romanov has inherited fabulous movement and also has a beautiful character. He is friendly, inquisitive and highly trainable. This is a horse for the serious dressage competitor. He is going to be outstanding in the competition arena.